Vehicle Telematics (VT) has revolutionized the whole scenario of fleet transport over the past few years. With a new set of innovations, VT has now come of age to offer a one stop solution for fleet business. The most daunting challenges of fleet management can now be simply dealt with by a Vehicle Tracking System well-equipped enough to give full monitoring power and real-time control over the fleet from a remote location. Telematics (Telecommunications and Informatics) is the technology of sending, receiving and storing information relating to remote objects, such as vehicles. 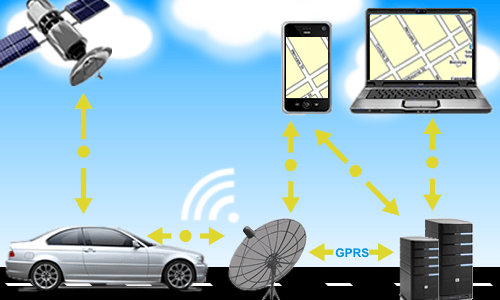 A fleet tracking system makes use of location technology in the vehicles through GPS (Global Positioning System), a satellite-based navigation system. Being based on space satellites, it is able to gather the location and time information of the vehicle being tracked in any weather conditions and from anywhere in the world. This wireless data communication process has opened up a range of possibilities for fleet service – be it something simple like tracking and monitoring, or be it top-notch surveillance for the vehicles to be completely on guard during travel. Powered with VT, fleet managers can track their fleet easily. They can see where their trucks are and it could be all in one screen. The reports could help them know how to route their fleet to make the most out of their drivers’ time, fuel and all other resources. Fleet tracking systems are also used to monitor drivers to see if they are staying in their assigned routes, rather than taking unnecessary trips. VT also incorporates high end security solutions for fleet transport. Geo-fence based warnings track any route deviation or herd violation en route; door opening status and unscheduled stoppage alerts give the vehicles complete protection against pilferage or any tampering attempt. If a vehicle gets stolen, one can easily refer to the map that displays where it is exactly and then recover the vehicle. The tracking system also enables summoning roadside assistance and remote unlocking of the vehicle during emergency. Using these services, one of the pioneering dairy business groups in India has been able to lower the incidences of pilferage and adulteration by 50%. A few cutting-edge security features of VT include triggering alerts in case of unauthorized interference with the VTS, no GPS; SOS transmission of diagnostics information during emergency; driver identification and auto-stopping stolen vehicles with ignition control and locating it even in areas with no network coverage. Surely VT can boost fleet based delivery system in several ways. It can track roadblocks and deplorable road condition well in advance and helps in identification of faster routes. This service is a boon especially for traders and transporters of vegetables or perishable items. For goods that are sensitive to temperature like frozen food and medicines, sensors can exactly measure the container temperature and send out alerts if it exceeds the specified temperature threshold. Faster alert triggers helps in combatting the delivery delays. VT also offers customized fleet management solutions for industry-specific requirements. There are a host of add-on services to choose from – peripheral tracking; speed management and timely maintenance of the vehicles as well as privacy solutions for private trips is a few to mention. Weather Risk Management Services Pvt Ltd (WRL) is already using big data, analytics and smart devices to provide access to these VT services across the Indian industries involved in fleet business. The state-of-the-art logistics management system of WRL has helped one of the India’s largest MCG enterprises to see a significant growth over the invested capital with fully controlled and secure fleet navigation facilities. The best case in favour of VT is its life saving benefits. VT plays an instrumental role in monitoring and real-time tracking of medical vans to reach patients; relief vans to reach disaster locations and police vehicles to reach complaint sites. In fog condition, low visibility makes it difficult to trace accident locations. Using VT enables one to reach the accident sites right on time and arrange immediate medical attention to the injured persons, increasing their chances of survival. VT also offers insights into the plausible reasons for accidents and helps in undertaking corrective actions. And the good news is – adopting these services significantly helps in cutting the costs of fleet management. Exact estimation of both the distance to be travelled as well as delivery time translates into decrease in fuel consumption and reduced transportation costs. Automated transporter invoicing ensures faster bill clearance and eliminates the vehicle idle time. VT also allows you to compare the performance of transporters and vehicles, so that the fleet managers can determine whether they are getting value for their money. Vehicle tracking system comes of age: A single stop solution for all logistics woes related to fleet business 0 out of 5 based on 0 ratings. 0 user reviews. Thanks for sharing this information. various tools and software’s are developing to ease the logistics process and bring more efficiency in it.